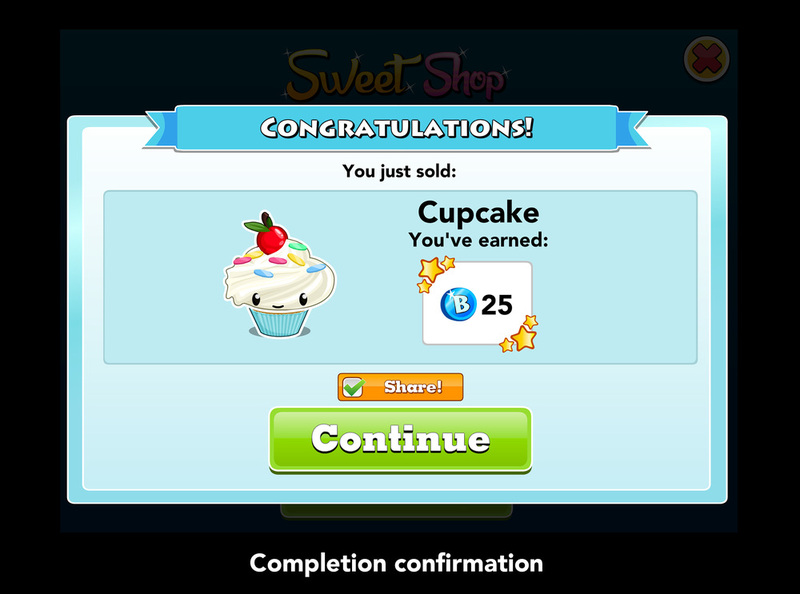 For the Sweet Shop feature I designed and prototyped a dynamic crafting system that allows the user to turn in different combinations of 'ingredients' (collection items) for rewards. 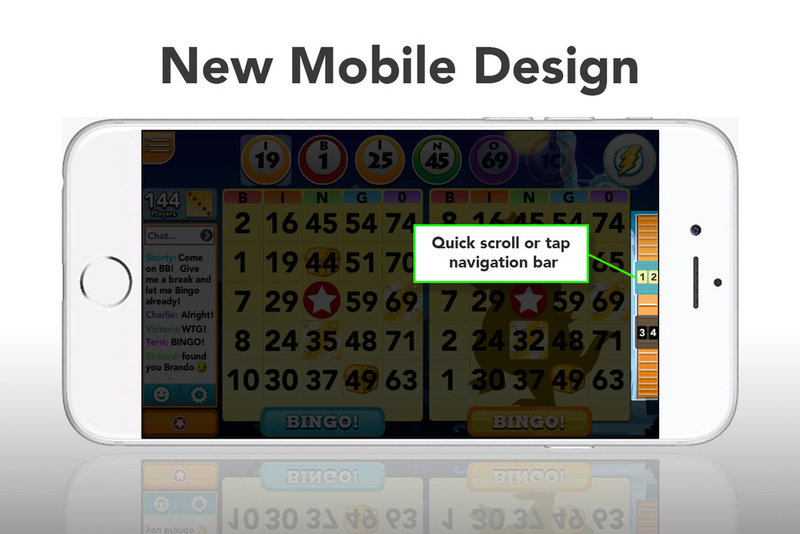 One of the main problems with our bingo rooms is that users complete and never return, this would solve that problem with our first evergreen bingo room. 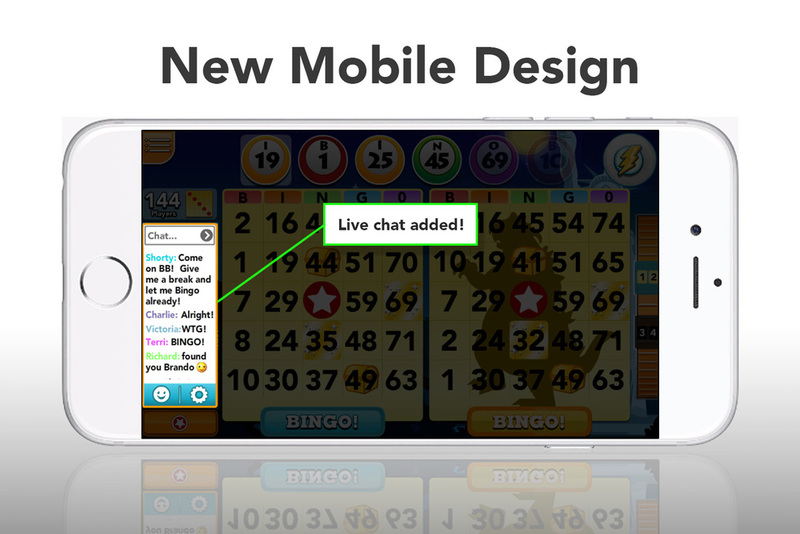 Chat is almost non-existent on mobile devices, this design concept brings live chat into bingo and slots. 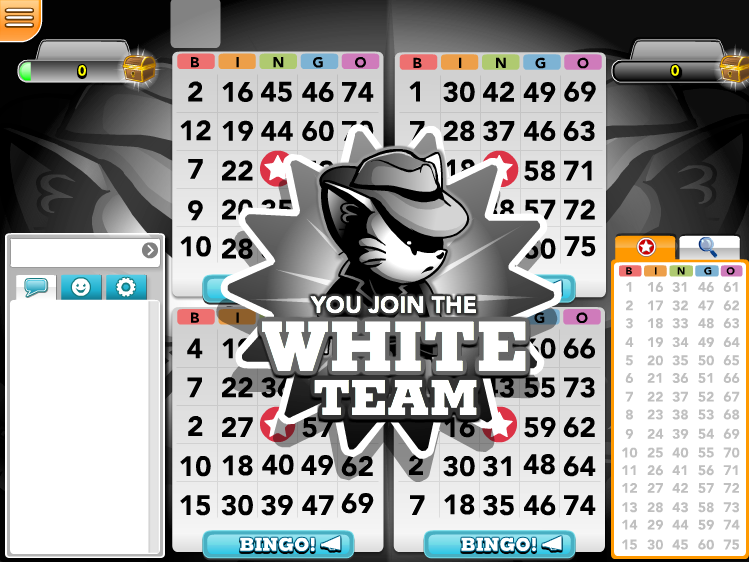 I rearranged the interface to incorporate the ball rack (switches with chat), a scrolling module on the right side to move between bingo cards, larger bingo cards, smaller bingo buttons to remove accidental hits and a new leaderboard design. 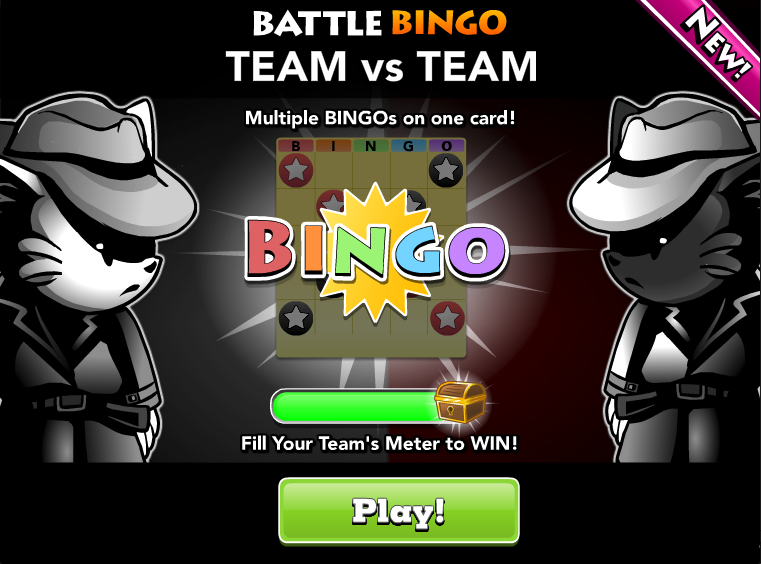 I developed and prototyped a dynamic new team gameplay variation known as Battle Bingo. Players were assigned a team and then bingos and daubs filled their team's meter. First team to fill their meter won. 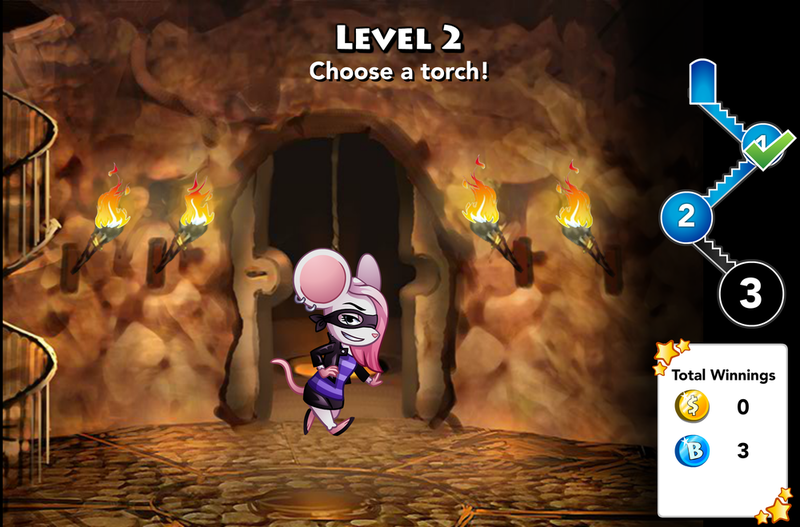 Detective Blitzy was a feature that I helped develop and prototyped featuring a minigame following a bingo round. 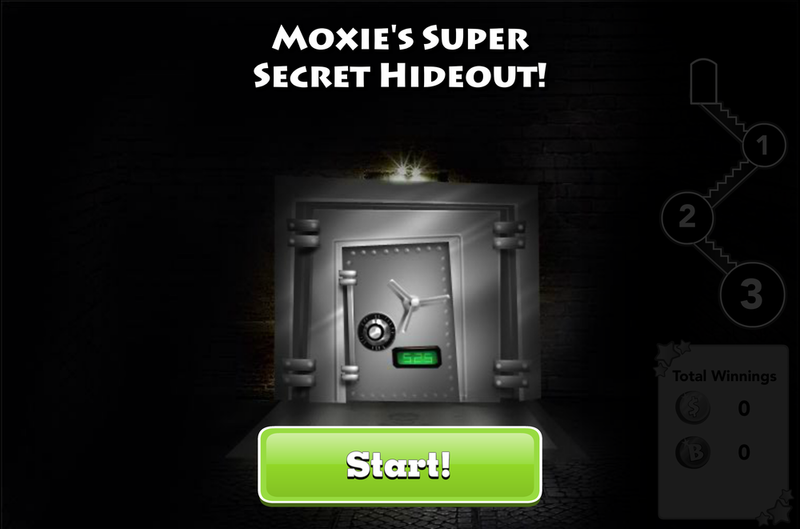 The player would chase the mouse, Moxie, down a series of levels by making randomized picks. 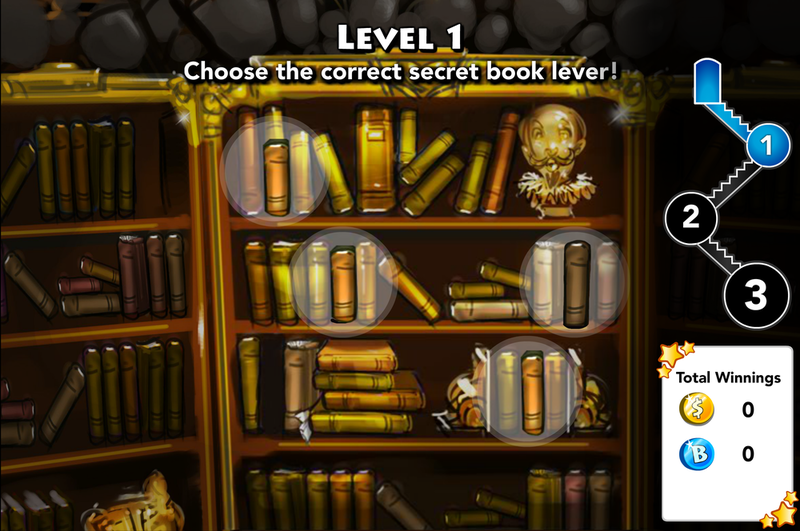 If the player picked correctly through all 3 levels they were rewarded with the grand prize.